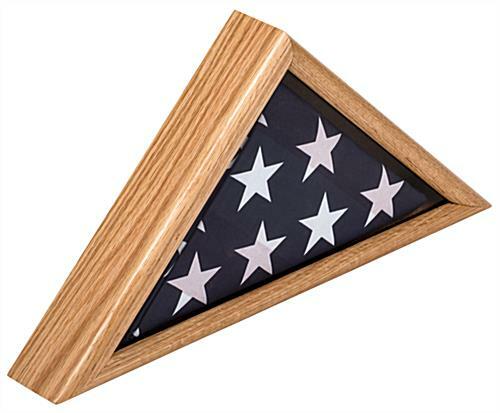 These American-made oak flag display cases have a high quality design, made of real wood with a protective glass faceplate. 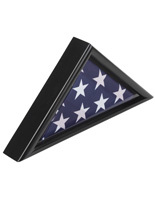 The Title 4 compliant holders are excellent for loved ones at a military funeral or simply to commemorate one's own service. 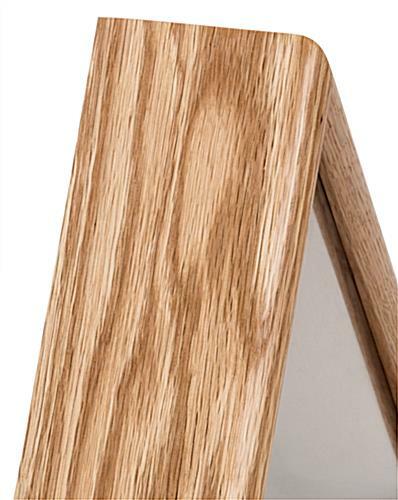 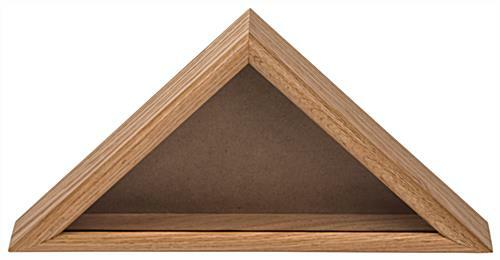 Each of the oak flag display cases can be placed on a tabletop or mantel, but they also include brackets for wall mounting. 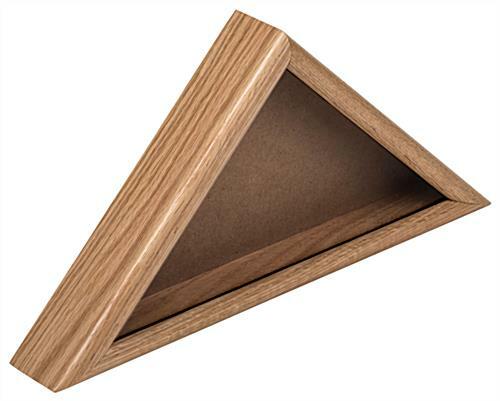 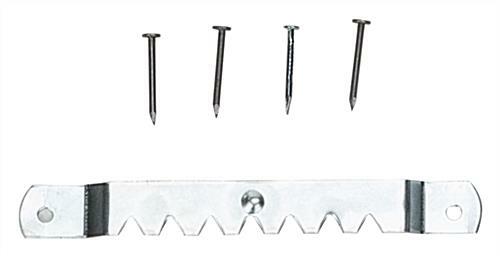 The holders feature a trifold 3' x 5' ensign which can easily be inserted through the removable rear door. 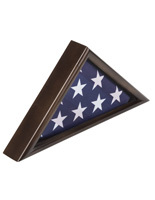 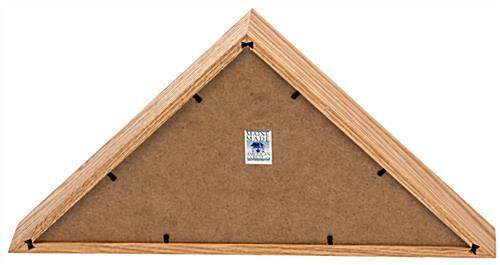 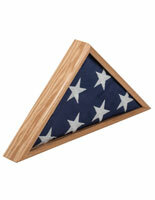 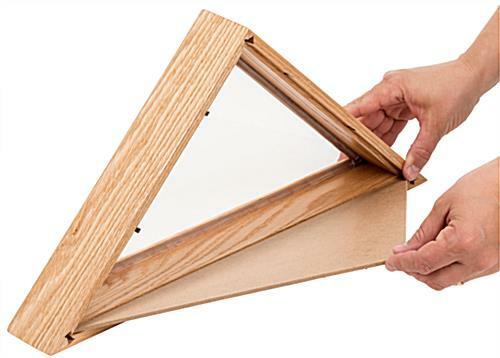 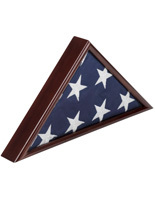 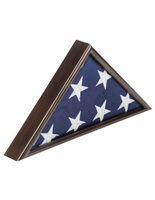 Our flag display cases feature a beautiful traditional appearance and are made in the USA.